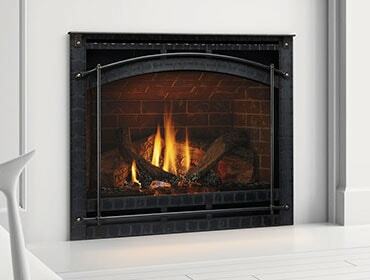 Did you know that operating a gas fireplace costs very little? So, you already have a gas fireplace. Or perhaps you’re considering adding a gas fireplace to your home, or renovating that sooty old wood-burning fireplace with a gas insert. Gas fireplaces and inserts are more than just beautiful additions for ambiance and convenient fires. They can also help reduce your heating costs and are relatively inexpensive to operate per hour. Gas fireplaces and inserts make attractive upgrades to any home. According to the Hearth, Patio and Barbecue Association, installing a gas fireplace in the area of your home where you spend the most time could lower your home heating bills by as much as 40 percent. Annual Fuel Utilization Efficiency (AFUE) is typically used with appliances that continually cycle on and off to maintain a constant temperature, such as a furnace. But maybe you don’t know the fuel efficiency rating of your fireplace. Generally, fireplaces with features such as Direct Vent Technology, a ceramic glass front, a secondary heat exchanger, circulating fans and an intermittent electronic ignition system are going to be the most efficient to operate. So, just what does your gas fireplace or insert cost to run per hour? Find out by using our online gas appliance cost calculator. Simply enter the BTUs of your existing fireplace or insert, or choose a Heatilator model you’re interested in, and enter the fuel type. The calculator will give you an approximate cost per hour. For example, the Heatilator Novus nXt pictured below costs about 32 cents per hour to operate with natural gas fuel. Four hours of ambiance and warmth will cost you a little more than $1. Sit back and enjoy the fire, without worrying about how much it might cost you. Heatilator also offers gas fireplaces that will bring warmth and comfort to spaces indoors and outdoors – with the same two-sided fireplace. Read about the Best of Both Worlds: Indoor/Outdoor Gas Fireplaces.